Imagine your sales process was highly effective and efficient….what would you do with all your spare time ? This book breaks down the myths and gives you a step by step process to have an effective and simple sales strategy plan to increase your profits in any business. #1 Sales is not a dirty word ! Everyone everyday sells and if you think your not – why ? What is your perception of sales as this is holding you back ? Every business needs sales and no matter where you sit in a company you are selling. A business with no sales is not a business its a charity. In this book I reverse engineer the process of sales success so you can see exactly how important your sales strategy is to keep everyone on the same page and how simple it is to increase sales…..and how this will save you time and money. You are full of good intentions for making your business really successful. You are working long hours 7 days a week…..this book explains how your good intentions are driving sales away from your business. Understanding the law of attraction and abundance makes a big difference in business and the difference between success and failure is your mindset ! Book your holiday now (I know a great travel agent) and know that your success will increase dramatically because you are being proactive like never before ! #5 Discover the simplest and easiest way to keep your successful business on track, increase sales and give you time to do stuff that you want like travel ! AND you will have time for the important things in life like family, friends…..and TRAVEL ! There are many sales strategies in this book that require no additional money being spent in your business. For example you will learn how one small change can increase productivity, an easy way to close the sale, how to supersede your clients expectations (under promise and over deliver) how to sell more to your existing clients and how to easily focus on proactive tasks that get sales. All of these strategies you can successfully implement without spending a single cent and in fact how you can save money by implementing them. The majority of frustrations in small business is starting that database. Getting known, getting clients, getting sales. If you are spending huge amounts of time in your business doing what you think you “should” do on social media but your not really getting anywhere what is it costing you in dollars ? Many businesses can be very successful outside social media. In fact business boomed before the Internet (or did you forget that) Social media is fabulous for building contacts but once you have them what’s next ? Learn where to put your limited resources and time to build your hungry crowd in the easiest and fastest way for you. And without another free webinar on “how” that promises everything and delivers nothing ! How to increase your sales....and do other fun stuff like travel the world ! Core selling skills, the T.O.T.E model and how to easily close the sale. Why you must have a niche and how to ensure you love it ! 5 Time Efficiency in the Office 18 Different Words 31 I Am Not Your Cup of Tea! Sales are essential to success, but many people believe that sales are something to be feared and only for “sales professionals.” The truth is, everyone everywhere sells themselves every day. Those people successful in business are good sales people. They may not be selling a product or a service directly, but they sell themselves every day to everyone they meet. If you think you are not in sales, then think again! Every encounter you have is a sales encounter. I grant you some are very poor at it and others label it differently – manipulating, connecting, customer service, charisma, doing my job, helping others, giving support, caring, reacting, being nice, influencing, understanding – the list goes on. If you can truly master the information in this book you will be more successful than you ever thought possible because you will MASTER the sales process. Hold that thought as we will get to that later! It does not matter what industry you are in, what position you hold or if you apply this to your work or home life – understanding, accepting and having a sales mindset will dramatically change your life for the better. Why is it so important to master sales? Speaking with many small businesses, I find it amazing how many have difficulty finding good staff. I started to question this because clearly, what defines a “good” staff member? I suppose it is like anything, really. What is a good football team, a good husband, a good car or a good anything? It depends on you and your expectations. I briefly worked for a business in my twenties that constantly had “bad” staff. In fact, turnover was so high some staff only stayed a month. I remembering asking the CEO about this and he said we just cannot get the right people. After I worked there for there months I had my review. I was asked some very clear questions about my thoughts and I answered them honestly. Clearly my answers were not what the CEO wanted to hear. Sales figures are sales figures and they state a very clear picture to what is going on in the business. Time is money. This is the same 25 years ago when I started in travel and it is still the same today. We have progressed with wonderful time saving devises like word processors, fax machines, email, photocopiers and Internet. Certainly time-saving office equipment is fabulous for any office. Then why are we busier than ever before? There may be many reasons why but I believe the main reason is that many people do not value their time and therefore, neither do their clients. Could you sit with a doctor, lawyer, dentist or any professional for 30 minutes without being charged? Could you walk into any of their offices without an appointment and expect to be seen immediately? The business owners out there who are making money are making really good money because they have worked out that time is money. They know what they are worth and they know how to charge. They are in control and many do not have shop fronts and work on referral only. They also have a “niche” market and do not try to be everything to everyone. They specialize so that clients will come to them – clients with money to spend not clients who just want to waste your time. Working this out is the first step to good time management and people with good time management make more money. If you are reading this, I understand that you want to make a profit or increase your profit from your business. First thing: you need to set your big picture goal and work backwards breaking that goal into smaller and smaller achievable tasks. Everyone’s goals are different but one thing that sets people apart from having different level of achievements is their goal setting and their drive to obtain the goal. For many people, having a job that pays the bills is enough. For other people it is not. They may want to be a multi-billionaire. No matter your goal, you can obtain it. Everyone can obtain their goal! If you have the desire and want it – it will happen. It may require hard work, and it may not. The first step is to set your big picture goal. You need this first, as how will you get somewhere when you do not know where it is you are heading? Establish an emotional connection with the life you want to create for yourself. It’s going to be so much fun! Such excitement! Such adventure! Such a great feeling to fill your “think tank” with uplifting and positive thoughts! Your life is about to become extraordinary. 1. Narrow your focus. Unfinished business saps your energy. You can only give your best if you pay attention to one thing at a time. Getting stressed and feeling overwhelm by taking on too much, is simply energy zapping. Choose one goal. Give it your all. Finish it. Move on. 2. De-stress. Meditate, go outside and exercise, remove yourself from the problem and learn to master your thoughts. 3. Go public. Tell supportive friends (and your partner if you have one) about your goal. Sell the project to them and build your own excitement in the process! The more you make it public, the harder it will be to quit. 4. Go with the flow. Motivation and energy have an ebb and flow. It’s best to stick to a plan and be consistent no matter how tired you feel. A temporary slump doesn’t have to spell the end of your dreams if you use the ebb (low energy/ low motivation) period to recharge your batteries, maybe do some reading on the subject, meditate to seek intuitive guidance, etc. 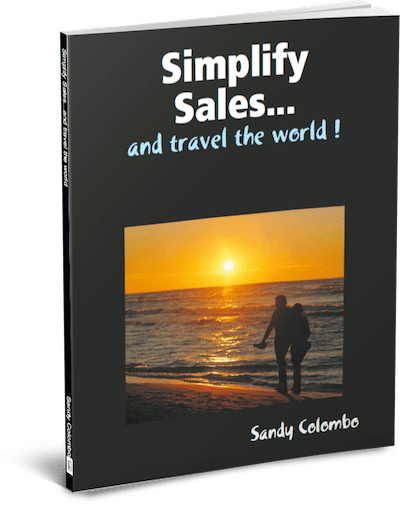 I am ready to simplify sales, free up my time….and travel the world ! The only problem you will have when you implemented your learnings from this book and your sales strategy is sorted…..is what will you do with your free time ? Its what is NOT in the book….. This is a workshop for professionals who want to take their business or career to the next level. You are already successful you just want fast track your success. Sandy is an engaging personality with a selfless style. Her leadership is driven through a strong sense of purpose and values. People working with Sandy comment that “She gives everything she’s got” and expects others to do the same. She is curious, achievement oriented and displays the highest integrity. Sandy makes great effort to maintain authentic connections with people around her and to empower them to work to their potential. Sandy is now pursuing her passion for realising potential as a Speaker, Author, Educator, Facilitator and Coach. 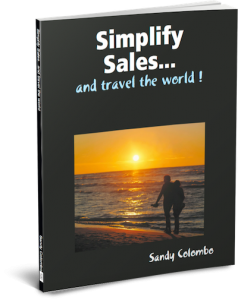 I had the pleasure recently of being part of a Simplify Sales 2 day workshop with Sandy. She captivates the room with her NLP knowledge and experience in Sales. I loved the way everyone was involved during the hands on sessions and came away feeling motivated and energised. Following on from these workshops I was lucky enough to spend a whole day one on one with Sandy in a Strategic Planning Session for my business. I now feel more confident in setting the rules for my staff, my business and myself and my change in thinking has allowed things to “Just Happen”. I would recommend Sandy’s services to anyone who wants to grow their business and have more time to themselves. I finally found a holistic business coach! Who you are in life is who you are in business – I have always firmly believed this. The greatest gift Sandy has given me is helping me to peel away layers of conditioning to reveal myself to me and, in so doing, reveal a greater Me, a happier and more focused Me to my clients, my staff, my colleagues, even my family. Picking up one thread at a time and looking at it carefully, asking where it came from, how it unravelled itself and, most importantly, where I will choose to thread it next into my business tapestry is not always easy, but it is always safe. Thank you, Sandy, for your compassion, empathy and especially for your drive to see all your clients succeed. Sandy is an amazing coach and mentor. Having known Sandy for many years, I see her continually inspire and influence those around her, including me. Sandy is well planned and strategic in her approach, she communicates in a way that engages you to listen and learn whilst get the point across with great clarity. 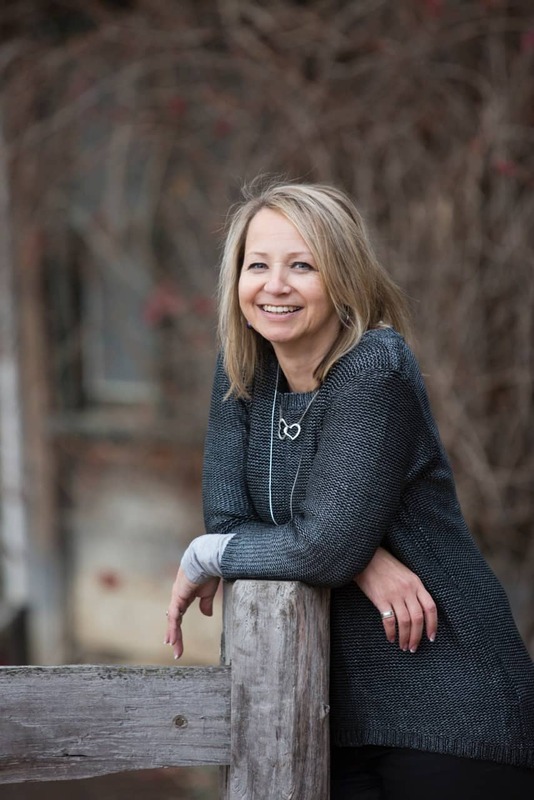 Sandy’s positivity is infectious and it shows in her networks and ability to create connections and to connect others. One of Sandy’s major talents is her ability to look at all the moving parts and complexities of her clients, then prioritise and build solutions that drive results. I would happily recommend Sandy. Sandy’s feminine leadership is second to none. Her female leadership is that of real heart and facilitates one’s learning through awareness of self. Sandy has a way of empowering you that honours her spiritual being, yourself and the process. When I first started coaching sessions with Sandy I was “busy” with my life and didn’t have a lot of time for other things I wanted to get done. Sandy has guided me to identify my priorities and with focus I have been able to accomplish what is important to me. During our coaching sessions Sandy has helped me to get really clear on what matters and has a great style of allowing you to obtain the a ha moments which bring about real change. If you want help to get things done with a sense of quietude and excitement, then Sandy is the coach for you! Sandy has been instrumental in fundamentally changing my thinking towards my business. Together we have identified my values and beliefs and challenged those that impede my potential to succeed. The value of Sandy as a business and life coach can not be under estimated. I now have a renewed enthusiasm and confidence to take the steps necessary to achieve the goals I have now. I came away from a meeting with Sandy feeling genuine optimism as I gained clarity about the prospects for the future direction of my business affairs. As a creative person, I felt that my talents and strengths were acknowledged and appreciated whilst I was encouraged by a practical approach to better managing the areas in which my skills were less developed. Above all, Sandy showed respect for me as an individual with talents which would benefit from reassessment, rather than the focus being on any lack. I had the pleasure of working with Sandy Colombo, she presented at a NED talk (inspired by the TED Talk concept) at NAB. Sandy was very professional to work with, and presented on how to have a courageous conversation. We received rave reviews of her talk and people commented that they will use Sandy’s advice the next time they need to have a courageous conversation. I would definitely consider Sandy to present for me again if the opportunity arose. Sandy is a great connector of people and an excellent presenter. Thank-you for delivering such an engaging presentation. Free Offer - My #1 Sales Tip! And no need to put in your details to get my FREE OFFER ! I am giving away for free my number one sales tip. If something is free there is no value. Have you ever been asked for your free advise by a friend and they didn’t take it? Even though your clients pay you for this information! This happen because it has no value. If you don’t value (yourself, product, information) why would others? And we all know that the free offer is about collecting a data base full of people. But who are these people ? They are not clients but people who don’t buy from you and don’t value your service or product. Have a low cost offer and get some skin in the game. It is a completely different thing to add value to your existing clients but they need to be clients first !